With detailed 'how-to' instructions from leading knitting experts, knitters will be inspired to branch out and experiment. 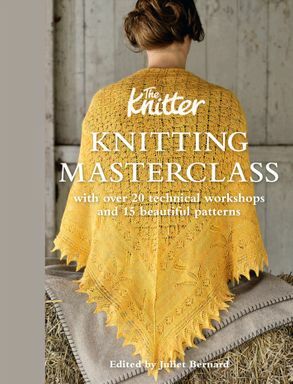 this comprehensive new book from tHE KNIttER features techniques from the magazine's ever-popular Masterclass series. With detailed 'how-to' instructions from leading knitting experts, knitters will be inspired to branch out and experiment. Clear instructions, illustrated with step-by-step photography, explain those knitting techniques which can appear intimidating. Masterclasses include Reversible Double Knitting, Creating Perfect Lace, Steeking without Fear, Confident Cables, Provisional Cast On Methods, Kitchener Stitch, Flawless Fair Isle and Combination Knitting. Masterclasses are accompanied by exclusive projects, designed to show how techniques can be put into practice. THE KNITTER is a monthly magazine aimed at knitters who love quality yarns and beautiful patterns. With inspiration from world-class designers and new techniques to try, THE KNITTER offers an extra level of creativity to crafters. A wide range of original clothing and homeware patterns every issue makes THE KNITTER eminently collectable!Juliet Bernard studied textiles and worked in the textile and fashion industry before being made editor of THE KNITTER for its launch in 2008.